There are times when following a plan of action works perfectly, then there are times when it doesn’t. Writing a to-do list in order to accomplish tasks helps to keep things on track. Then there are times accomplishing what is on your list seems like an arduous task, simply because you do not feel like doing anything. 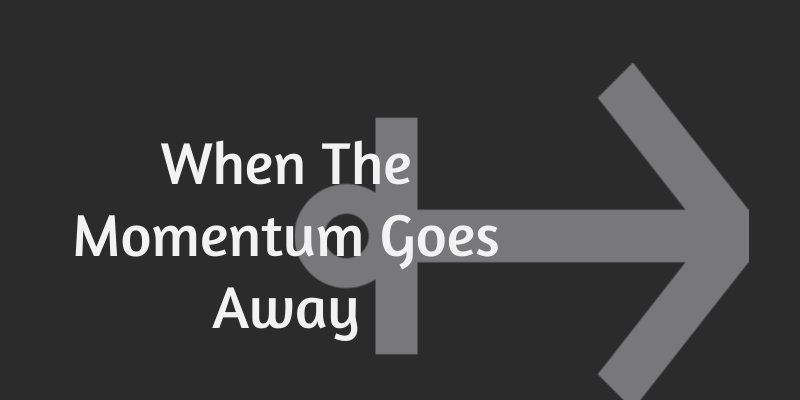 This tends to happen when you lose momentum, which could be because you’ve become distracted, got tired or bored with the task. How would you rate yourself when it comes to completing tasks on your to-do list? There was a Facebook post that asked how you would rate yourself when it comes to accomplishing tasks on your to-do list on a daily basis. I rated myself an 8 as I have become a lot better at completing tasks within a day. Although this tends to be used when talking about people who do not have a good work life balance, it could also be cited as one reason we lose momentum. There are times when a task takes me longer to complete than it should. For instance, coming up with images for blog posts can take as little as half an hour as there is a set formula that I use. I am bored with the set formula used? Loss of creativity was unlikely as there were set templates I could use to ignite my creativity. Boredom was a possibility, but also unlikely, as I wanted to get the images done so the post could be published. This leaves tiredness, which was the most likely reason as I had not been sleeping well. Yes, that was it. The momentum went away because I was tired. Knowing it was tiredness that caused the lack of momentum, the most obvious thing to do was to get more rest. Surely, this would result in things getting back to normal. After a few days of getting as much rest as possible, I was still tired and then it suddenly hit me. I wasn’t tired because of a lack of rest, I was tired because I was coming down with a cold. The only way to get over that was to wait it out. So, in an effort to get the momentum back, not only would I need to rest, I would also need to make sure I drink plenty of fluids, not overexert myself and to stay warm. 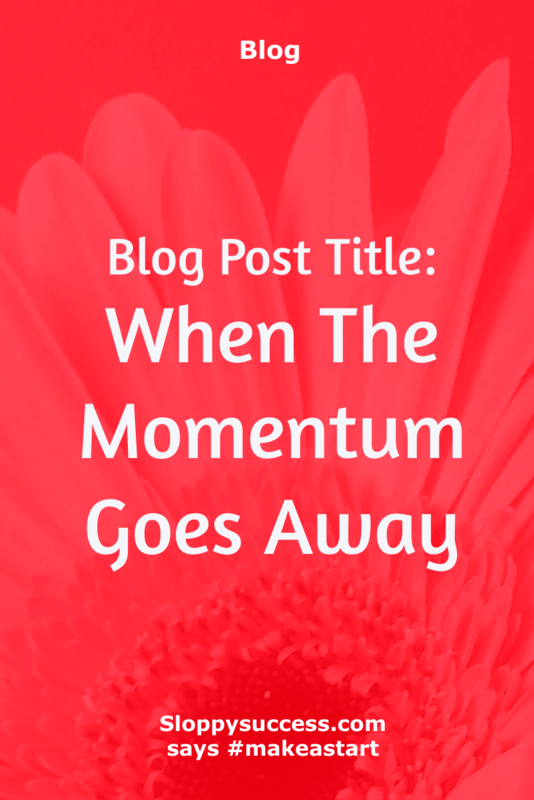 Losing momentum happens for a variety of reasons. 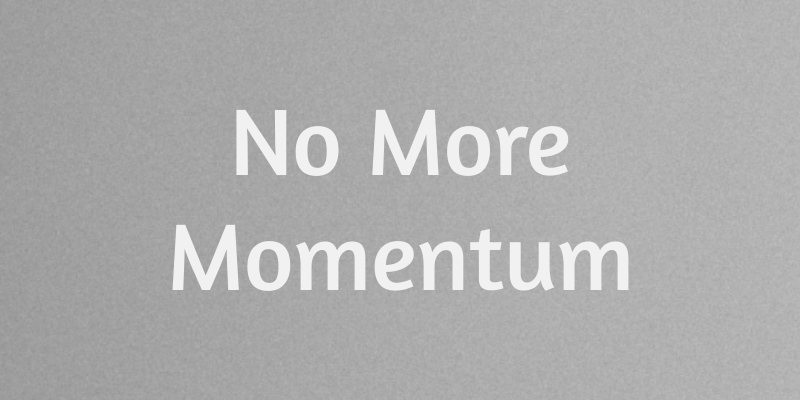 Being able to identify and resolve the reason is a way to get the momentum back. Sometimes changing the task at hand or taking a longer than planned hiatus from a task may be what is needed.